An Alaska man will spend the rest of his life in prison for the January 2017 Florida airport shooting that left five people dead and six wounded, a federal judge ordered Friday. “You destroyed families in this senseless attack,” the judge said. Several family members of victims — many of whom were on their way to cruise ship vacations — spoke in court Friday, describing their deep sense of loss for those who died and some discussing the health struggles of shooting survivors. Among those was Julie Beauchamp, whose mother Mary Louise Amzibel was killed in the attack and father, Edward Amzibel, was seriously wounded. James Steckley, speaking on behalf of his wounded wife Julie, said he blamed in part what he said was a “lack of concern” for military veterans once they return from combat zones. Santiago served in the National Guard in Iraq. “I’m truly sorry for you in my heart because I truly don’t believe you were a born killer,” Steckley told Santiago. “Potential attackers need to know they will never again go free if they conduct an attack such as this,” Del Toro said. 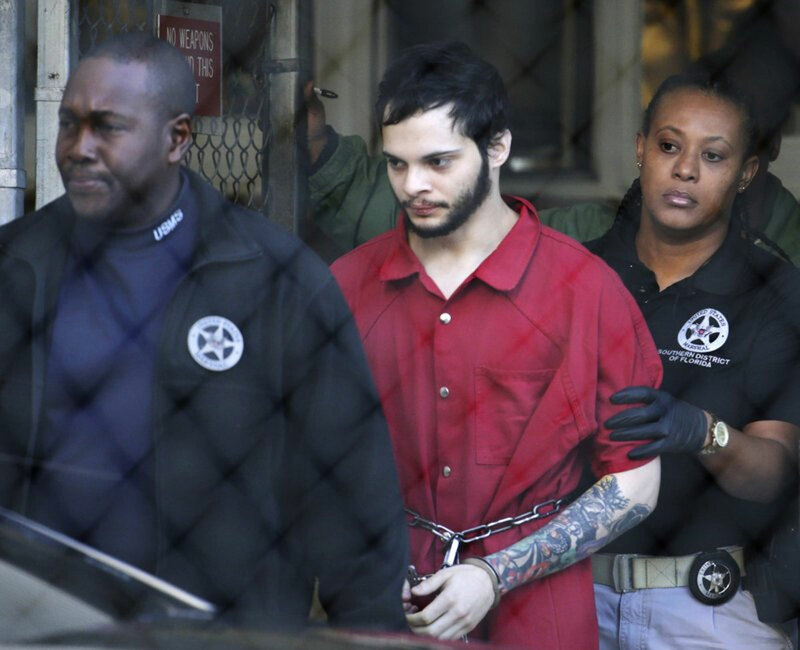 Prior to the shooting, Santiago was briefly treated at an Anchorage mental institution after showing up at the local FBI office claiming to be hearing voices, then was released with no restrictions on owning a gun, authorities have said. Santiago later claimed in court he was getting “messages” in his head prior to the shooting. Del Toro said Santiago’s mental illness may have worsened because he had been regularly taking hallucinogenic drugs, including LSD and mushrooms. But he added that Santiago meticulously planned the attack. “This isn’t a situation where a person with mental illness just snaps,” the prosecutor said.